Villa Firostefani is located in Firostefani on the island of Santorini. This family-run complex of rooms offers furnished balconies with views. Free Wi-Fi internet access is available throughout. 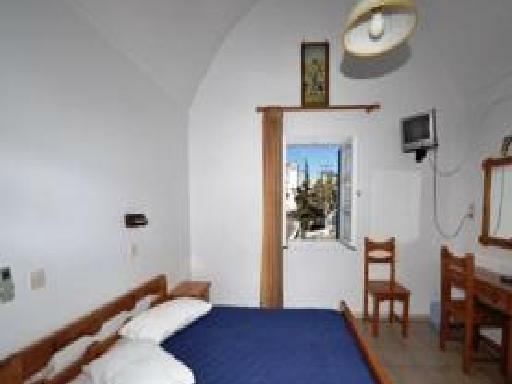 Built in Cycladic style, each room is equipped with air conditioning and a TV. They also include a refrigerator and electric kettle. The bathrooms are stocked with toiletries and a hairdryer. Villa Firostefani serves a Continental breakfast daily. 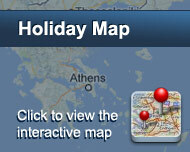 Various restaurants, cafés and bars can be found just 600 metres away in the town of Fira. Free transfer to and from the Airport/Port is offered upon request. The 24-hour reception can provide luggage storage and information on car hires. Free public parking is available close-by. Είστε ιδιοκτήτης ή διευθυντής στο VILLA FIROSTEFANI ; Εγγραφείτε τώρα για δωρεάν εργαλεία, που μπορείτε να χρησιμοποιήσετε για να βελτιώσετε την καταχώρησή σας και να συνδέσετε την ιστοσελίδα σας και το σύστημα κρατήσεών σας.